Planning to see geisha in Kyoto? Head into the areas where they live and entertain. 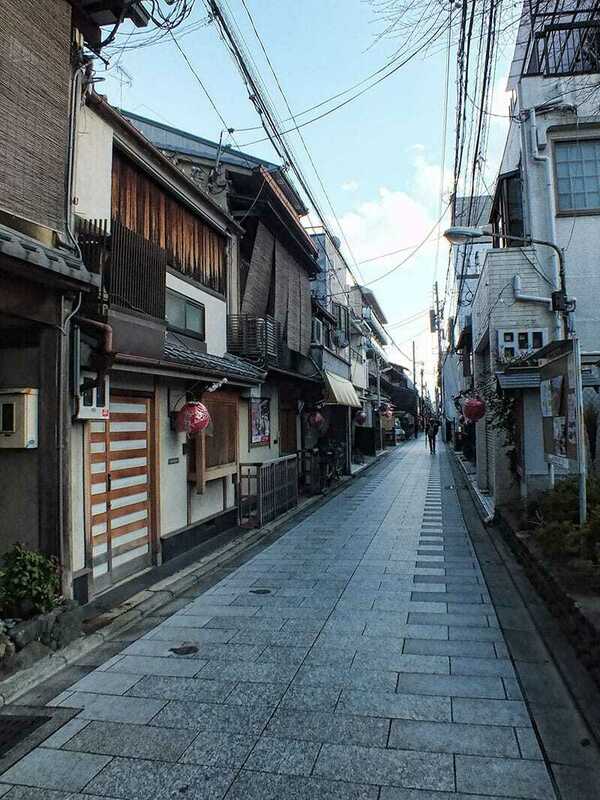 These geisha districts are known as hanamachi and there are 5 in Kyoto. 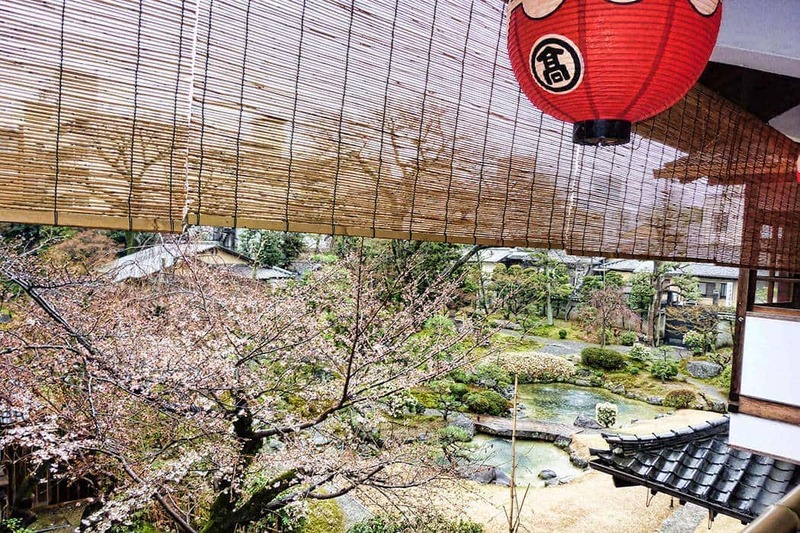 The city of Kyoto is a dream for anyone with an interest in Japanese history. It’s a fantastic city to wander around, it’s flat, there is something to look at every few metres and it’s overflowing with opportunities to learn more about Japanese culture. Add to that that the abundance of good food to eat along the way and there’s something for everyone. For me nothing could surpass my first walk through the historic hanamachi, the geisha communities of this fascinating city. It was like a story book had come alive right in front of my eyes. Hanamachi translates to ‘flower district’ and is the area where the geisha live, entertain and perform. 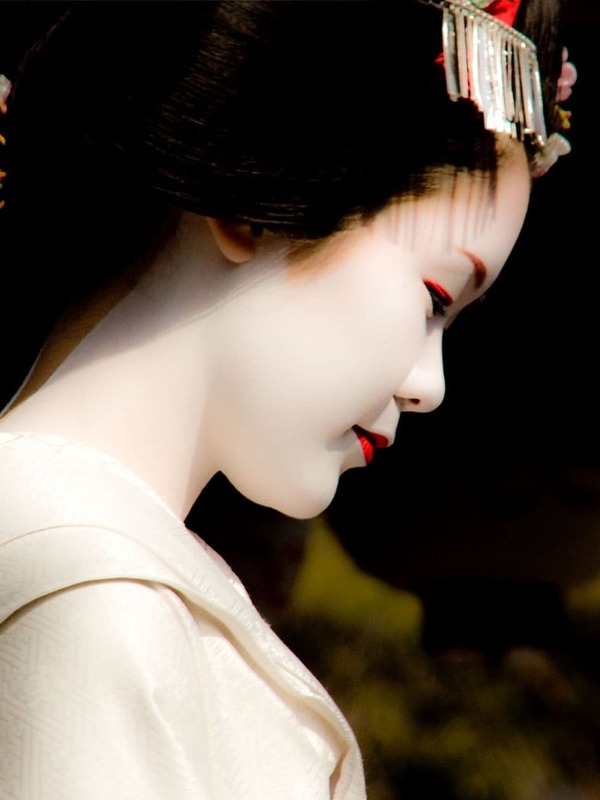 In Kyoto the global term of geisha (performing artist) isn’t used as a title but rather geiko (woman of the arts) when they are qualified and maiko (child of the arts) for an appretice geiko who will normally be under the age of 20. Four of the geisha districts of Kyoto are located in close proximity and centred around Shijo Dori, a central shopping street in Kyoto. The 5th hanamachi is further away in northern Kyoto. It’s closer to the famous temple attractions of Kinkaku-ji and Ryoan-ji. Gion is the largest and most famous of the geisha districts. 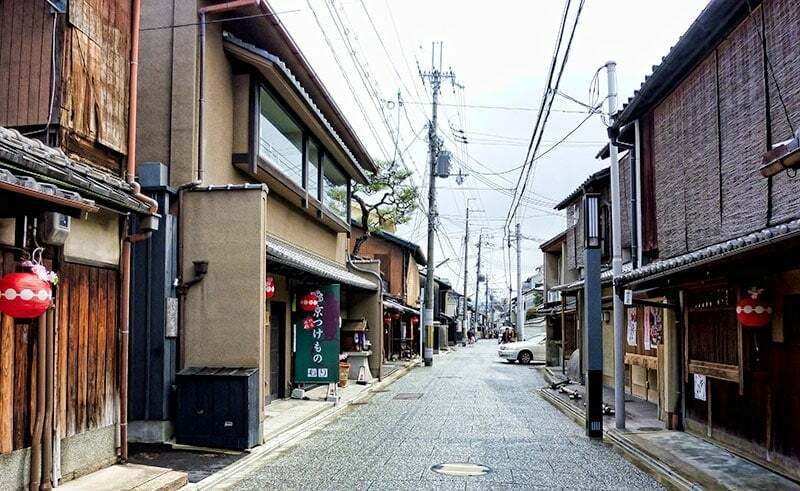 It is now recognised as two distinct communities, the original Gion Kobu and the smaller Gion Hagashi. The theatre of Gion Kobu is the Gion Kaburenjo Theatre, this is where we watched the maiko and geiko perform in the Miyako Odori Spring Dance. The geisha of Gion Hagashi have their own dance hall and perform at the Gion Kaikan theatre, their annual dance is called the Gion Odori and takes place in early November. 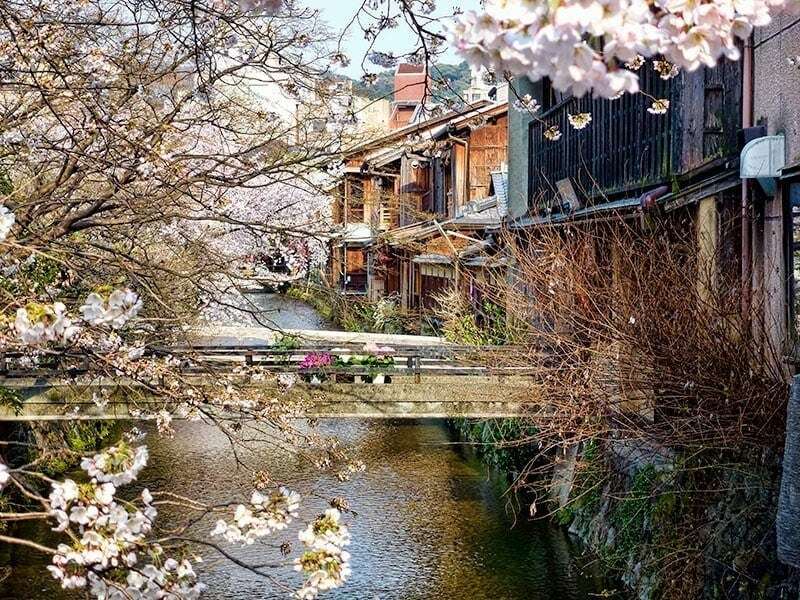 The beautiful Shirakawa canal is in the Gion hanamachi, if you were a fan of the novel ‘Memoirs of a Geisha’ you might recall references to this area. 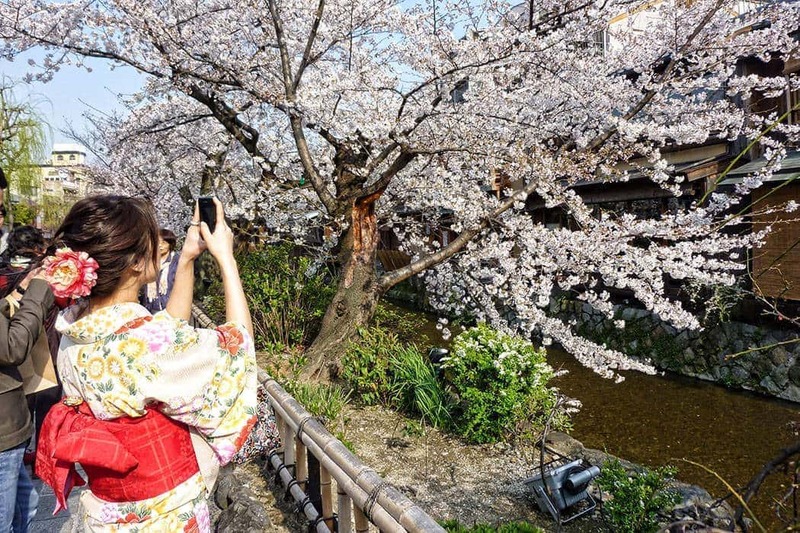 It’s particularly beautiful during the cherry blossoms when we were there and on the 8th November you have the chance to spot a local geisha or two during Kanikakuni Sai in memory of the poet Yoshii Isamu who wrote about his love for Gion. Gion appears the largest and most prestigeous of the hanamachi. It’s clearly had more recent renovations while retaining it’s traditional character and has embraced the tourism market if not into it’s inner operations and entertainment then at least into its district and public performances. Pontocho is ranked second among the geisha districts and has existed in that area since the 16th century. Pontocho is mostly Pontocho Alley which runs the distance between Shijo Dori and Sanjo Dori. The eastern side of the alley backs onto the Kamogawa river with several of the establishments having outdoor seating. The performance for this hanamachi take place in Kaburenjo theatre which is located at the Sanjo end. The main performance called the Kamogawa Odori has been performed since the 1870’s and takes place in May. 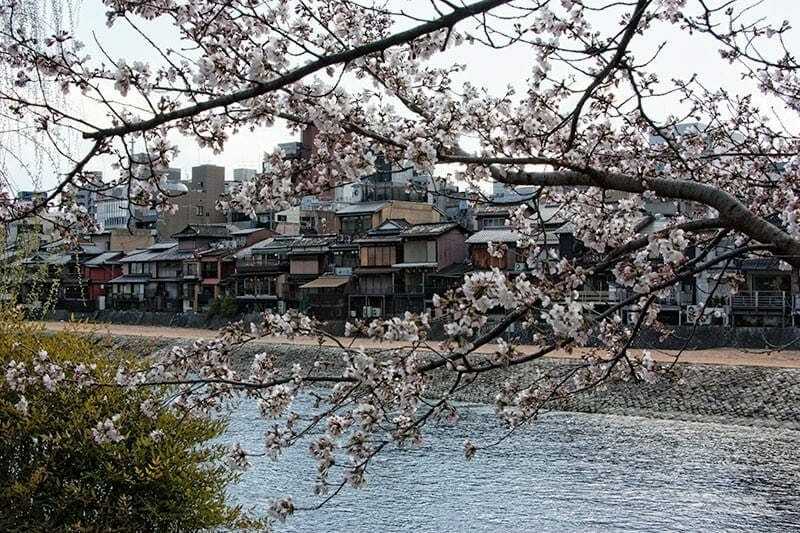 Looking back across the Kamogawa river through the sakura to the Pontocho restaurants. I have a bit of a soft spot for Pontocho having had the chance to see two of their very beautiful maiko perform in Yasaka shrine at a public Setsubun festival. 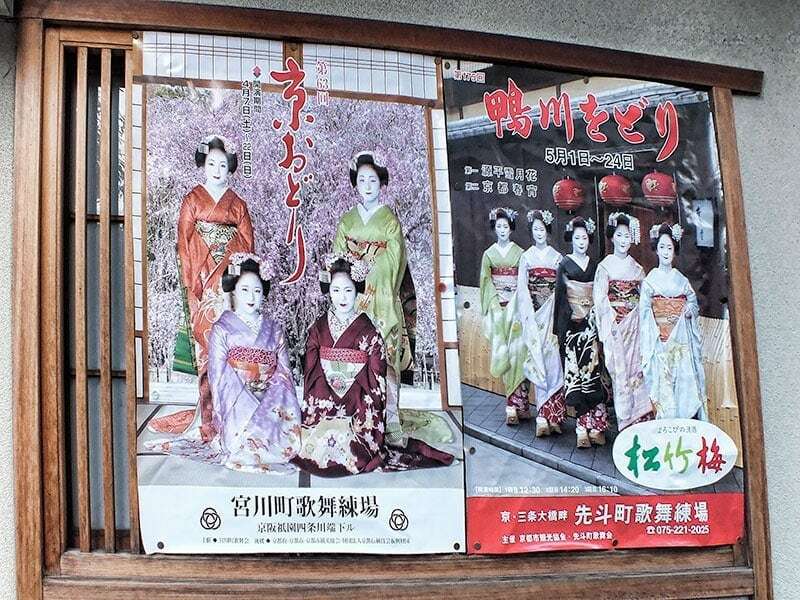 The Miyagawacho geiko and maiko perform their Kyo Odori dances in the first two weeks of April at the Miyagawacho Kaburenjo theatre . The hanamachi is located in the streets around it. The maiko (apprentice geisha) also make their way to the theatre each morning for their music and dance training. Migagawa-cho has a sizable entertainment district along the banks of the Kamo river. An indicator of a hanamachi area, although not totally reliable as they are sometimes used as decoration, is the display of round red lanterns outside the establishments and houses. You will be able to see it on several of the street views on this page. The fifth geisha district isn’t grouped with the others. It’s located in northern Kyoto closer to the famous temples of Ryoan-ji, Kinkaku-ji and their local shrine, Kitano Tenmangu. 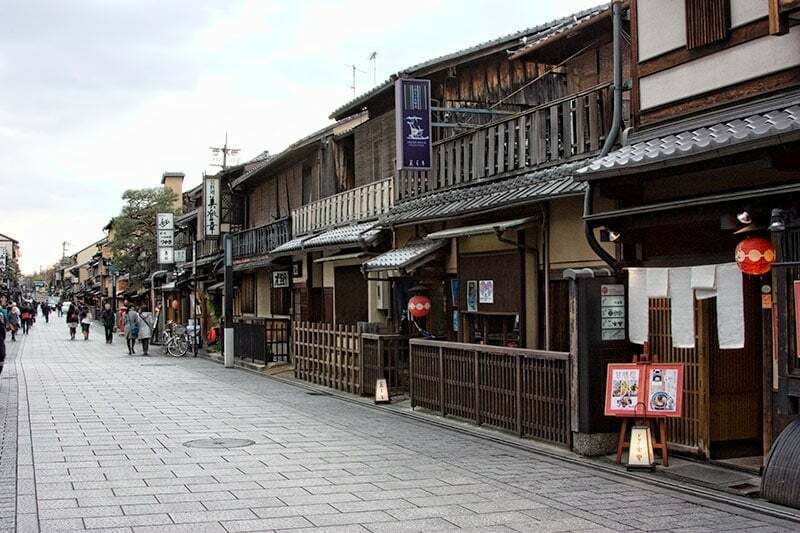 It’s the oldest of the Kyoto hanamachi districts with its original 7 tea houses being built from the materials left over from the rebuild of Kitano shrine during the Muromachi era between 1333-1573. Today around 25 geiko and maiko remain in the district working in the 12 operational tea houses. There are a couple of opportunities during the year for the public to see the geisha of Kamishichiken. On the 3rd February at 1.30pm there is an event to celebrate Setsubun in the Kagura-den hall at Kitano Tenmangu shrine. As part of this festival the geisha will performance dances and participate in the scattering of lucky beans. 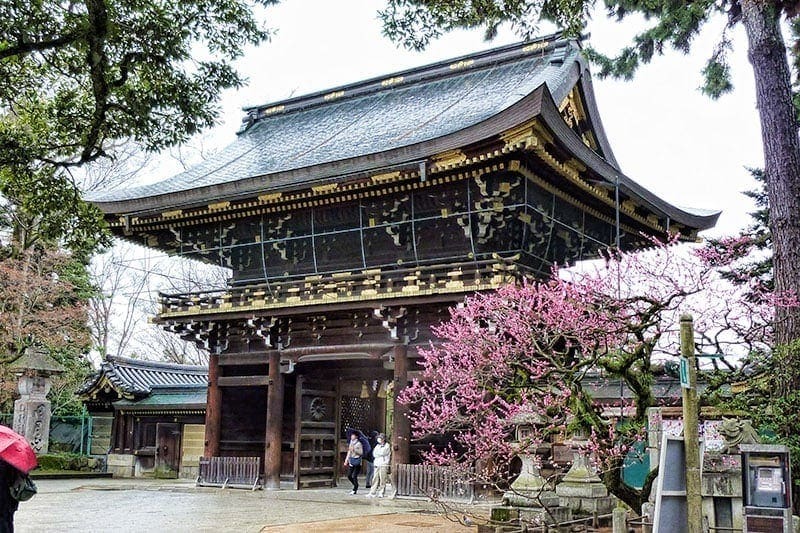 If you’re lucky enough to be in town on the 25th February and love matcha like I do then you need to make your way to the shrine for Baikasai, the plum blossom festival where the local geiko and maiko perform an outdoor tea service with matcha and wagashi. Then there is the Kitano Odori, the dance performance each year that takes place in their local theatre in late March and early April. The hanamachi is located in the Nishijin area of Kyoto known for centuries for its traditional hand woven textiles. You might want to see the Nishijin textile centre and kimono parade while you’re out this side of the city. 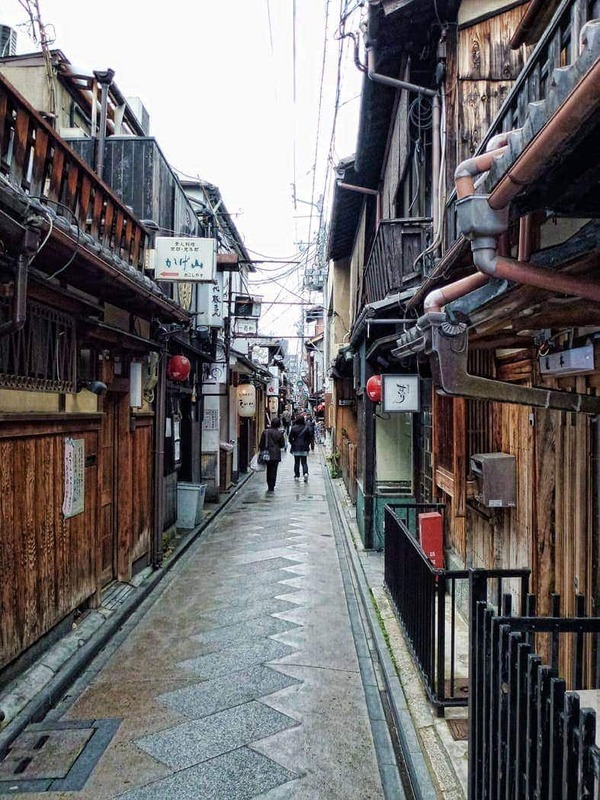 Have you explored the geisha districts of Kyoto? Or been lucky enough to see the geiko and maiko on their evening rounds or at an event? Please add your own experiences in the comments below and if this post has been useful please consider sharing it on social media. Thank you! Previous articleOsaka Amazing Pass | Is it good value? I have never been to Japan but find the geisha culture fascinating. My wife told me about it after she spent 9 months in Hiroshima, teaching English. It is well known, but so secretive and private too, like many aspects of Japanese culture. I graduated last year for my photography course with my project on the Kyoto and Nara hanamachi. Been very lucky to have been able to shoot a geisha and maiko in Nara inside their okiya. Going back this year to further the project. Last year I missed the Heian shrine maiko dance so this year I decided to skip the hanami and travel a bit later so that I will be able to see that. Also booked my ticket to the Miyako Odori dances already. The Pontocho are only going on sale 5 days before the start of the festival – while I am in Kyoto, so fingers crossed that I can also attend that one since it starts on May 1st, and that will will be my last day there. 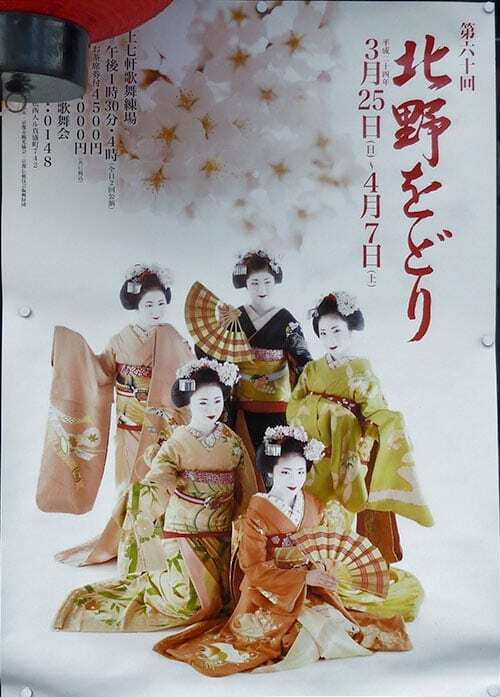 The Kitano Odori in Kamishichiken is not held late April (as you mentioned in another blog post) but late March early April (I’m gonna miss it this year, but saw it last year). Thanks Paul, I’ll recheck this years dates for the geisha dance at Kitano Odori and update, that was based on our visit a couple of years ago. What a fabulous experience you had to visit and photograph inside the hanamachi, that is very special. I was just in Kyoto! I loved Gion hagashi and Pontocho. I went to watch the Miyako Odori too. Absolutely loved it! Oh wow, wish I was back there now. Isn’t it just the most wonderful city to visit, I can’t wait to get back. Oh wow I have only just finished reading Memoirs of a Geisha, I know so late to the party! But it is just like I imagined it in my mind, and wow all that cherry blossom is just stunning. So sad that all those young children were brought here against their will its was such a beautiful story, great post this is somewhere to would love to visit. Such a unique experience. I’ve seen so many movies about geishas that I would love to see them perform live. Your pictures are beautiful! Thanks Maya. We’ve been lucky enough to see them dance a couple of times both in the theatre for the spring dance and in a shrine, if you have the chance it’s well worth trying to fit it into a visit to Kyoto. Personally we had luck in Gion as we spotted four Geisha and one Maiko in the area. Definitely one of the highlights of our trip. Something we missed which you highlighted was watching the traditional dance which I’ve heard is absolutely worth the money. Thanks Ross. You did have a good night in Gion with 5 sightings, it can vary so much with just needing to be in the right place at the right time – well done! We did the WaiRaDo Network Night Walking Tour of Gion – which was excellent. We were very fortunate to encounter many maiko and geiko ‘in-the-wild’ (so to speak) on that tour. It’s not guaranteed that you will see any, so our entire group was beyond excited every time we spotted one. 🙂 It was quite a surreal experience seeing these beautiful young women going about their business. Our guide offered fascinating insights into the culture of geisha. That’s interesting, that the same crowd that do some days of the Johnny Hillwalker tours now that have been going for YEARS! I’d still like to do the day walk with him on one visit but this sounds like a good pre-dinner activity for one night. Always love learning a little more about the geisha world so I’ll add it to next years trip notes. Yes I saw that flight with Cherry Blossom season excluded. Flying from Cairns saves us a lot of time. We would like to return in Cherry Blossom Season but only if we could find cheap Jetstar flights from Cairns. Johnnies tour sounds fantastic. I would try to do it if we returned to Kyoto. I saw Jetstars ‘Japan return for free’ sale came out last week but it locks out the cherry blossom period. Worth being on their mailing list though if you don’t mind discount airlines, we’ve picked up half price Japan flights for cherry blossom in their New Year sale before. I’m keeping my eagle eyes peeled next year for November, have decided to do the autumn leaves next. Kyoto looks a stunning place to visit. It is one of the countries I would love to spend a few months in, exploring the towns, cities, and countryside. I would love to stay for the full 90 holiday visa one day, at the moment we only get 3 weeks at a time but there is so much to see that it keeps us going back. Love love loved Kyoto and all the districts you mentioned but my favourite was definitely Pontocho. We wandered up and down the lanes each night we were there watching the people coming in and out the shops and restaurants, taking it all in and being so enchanted by it all. We never got to see a geiko or maiko unfortunately but its just another excuse to go back someday. This is a brilliant post for someone like me. I’m desperate to get a trip booked to Japan in the next couple of years and because I’m on a budget, I need to do it right! Your tips are perfect. I love history so Kyoto would be a great place to start. Geishas, tea ceremonies and temples are what I’m seeking and your photos are great inspiration. Thanks! Thanks for such unique tips! I had no idea where and how to see a geisha performance. It’s incredible how Japan keep its culture and history alive. What a great tip for a trip! 🙂 These streets are very nice, I like it and once in Japan I will visit it for sure! Lovely! Japan has so many interesting things to see and do, and this is clearly a must-do. I have a couple of friends that visited Kyoto and really enjoyed their time time. Looking forward visit! Beautiful photos! A few years back, Japan wouldn’t have been in the list of countries that I’d like to visit but it is now. What more with relatively cheap airfares from SE Asia. The question now is just which city in Japan to head to first. Kyoto however is definitely in the list! We have explored these areas of Kyoto but not when the cherry blossoms were out. You photos are just sensational in showing how beautiful Kyoto is at this time of the year. I am also fascinated with geisha and have learned lots here that I didn’t know. I live in Southeast Asia and Japan is one of the countries I have yet to visit. I’m told that I must go. 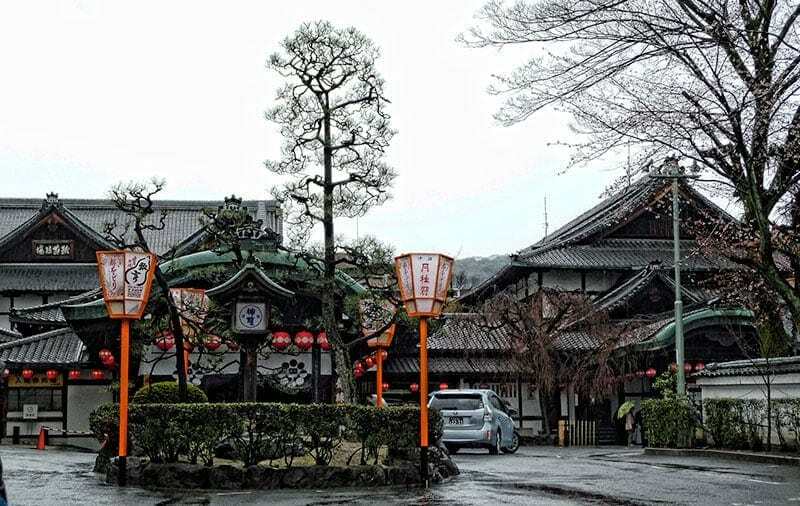 You’re post is very informative and it looks like Kyoto is a must visit while there. I have walked around the areas but didn’t know the history. Have you ever done a tour around Kyoto Toni, or do you just do your own research? Lovely photos and heaps of info. I’ll will be re-reading your posts before we go back to Kyoto. Hi Jan, we’ve never done a tour, I’ve been obsessed with Japanese history and culture since I did a school project as a kid so I do a lot of research. We did once try to do the evening geisha walk that leaves from outside the kabuki theatre on Shijo-dori but we were there waiting with two other couples but the tour leader (a foreigner living in Kyoto) decided not to run it that night. We didn’t try again. One I have heard is worth doing though is Johnnies walk in Kyoto, talk in English walking tour especially if you can get on a day he runs it himself as I heard he has now teamed up with the visitors bureau to run some days for him. He’s a local and been in the tour industry for almost 50 years. It’s about $10 for 5 hours and you walk (slowly) the whole time but he is supposed to be excellent if you want to really understand the culture and what you are seeing. It doesn’t run in winter or every day so we’ve not managed to do it but it’s the one I would make an exception for. Do you have a season in mind if you go back?